Argenteuil is a township, or famously communes, located only 12.3 kilometers from the heart of Paris. The township is known for very beautiful gardens, regratta, bridges, and adorable beaches. 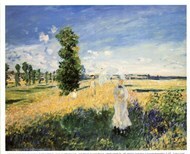 In our gallery, we have several artworks that include Monet paintings, depicting different and adorable things about the township. 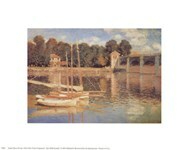 Our collection of Argenteuil art also includes images of the famed Monet Bridge at Argenteuil and a host of other things such as the artist’s garden. 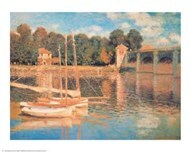 Examples of these adorable art pieces are "Regatta at Argenteuil", "Wild Poppies, near Argenteuil (Les Coquelicots: environs d'Argenteuil), 1873", and "The Artist's Garden at Vetheuil, 1880" all by Claude Monet. You get these images in a number of different sizes and colors. It’s advisable that you make a keen selection if you want to get the best look for whichever space where you want to use the wall art. 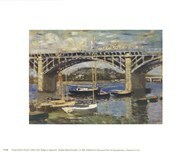 Whether it’s an image of bridge at Argenteuil or any other image from our collection, you’ll need to have a very clear picture of where you’ll mount it. 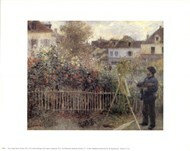 Many people choose to do more with their artworks. They make good use of the image on the artwork and also add some enhancements to be able to achieve even more in terms of aesthetics. 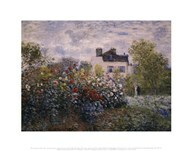 How about having a given Claude Monet artwork framed using a frame of your chosen color and material? That will definitely make the artwork look more presentable. That will in essence make the room look much better. 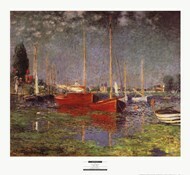 For example, you can have “The Marina at Argenteuil, 1872" by Claude Monet framed using a gold, black, or silver frame with amazing results. 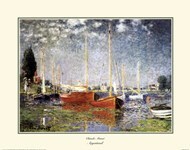 You can also have your selected Argenteuil images printed on canvas. 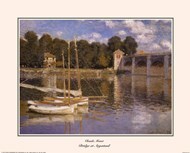 Another possibility of having the regatta at Argenteuil image printed on canvas and given some extra tweak such as museum wrap, unstretched, gallery wrap, or even framed canvas. If you don’t want either framing or canvas printing, you can simply go for lamination for some extra protection.